There are two sides to every debate. For some reason, the world of real estate investing is full of debates. One of the more common debates is whether to hire a dedicated property manager. In a perfect world, every landlord would have someone to run their property. As much as there is a definite benefit, there is also a cost associated that can’t be ignored. Property managers often make 10% of the monthly rent. Without significant cash flow, this can be a sizable reduction in the bottom line. On the flip side, imagine not having to deal with constant phone calls, maintenance requests and filling vacancies at the end of every lease. It would probably free up valuable time to spend in other, more pressing, areas of your business. Property management isn’t a slam dunk on every rental, but something to at least consider. Here are five reasons to consider hiring a property manager. Property experience. The size of your portfolio should not influence your decision. In fact, investors with only a single rental property can benefit more from management than investors with six properties under their belt. The biggest reason for this is because novice landlords lack real world property experience. Sure, this may be something that can be gained over time, but it is also tough learning on the fly. Without totally immersing yourself in the property and the rental business it is easy to overlook, or ignore, certain items. You may miss a deadline with the town, use a generic lease or fail to enforce a crucial item with your tenants. Before too long the problems will pile up and the property will slowly get away from you. There is a definite value on having property, and management, experience. Easily overlooked items. Very few landlords every consider the worst-case scenario. They assume that every time will pay on time every month and there will never be any real issues. This may be your realty for months, even years, but eventually you will run into something that is a real struggle. Often times the simplest things are the ones that are easily overlooked but can have the greatest impact. Start with compliance with town rules and regulations. Some towns, especially college rentals, have an annual application that must be renewed every year. If you miss this once, you may not be able to rent to students. You also need to make sure your lease has everything you want on it. Using a generic lease, you find for free online, may be cost effective but will leave you stuck in the event of a legal dispute. You also need to make sure any marketing you do for the property is compliant with state, federal and local regulations. Failing to comply can leave you subject to a large fine, or worse. Having a property manager handle these items is a weight off your shoulders. Filling vacancies. One of the biggest worries for any landlord is dealing with a vacancy. Not only do vacancies leave you out short-term rent money but can be costly if you need to move forward with an eviction. The best way to avoid a vacancy is by finding good tenants. It is easy to take the first interested tenant if a vacancy is imminent or your current lease is coming to an end. Property managers do not fill vacancies based on need or emotion. They take the time to review the application, follow up with references and reach out to employers when necessary. They do everything in their power to make sure the next tenant is a good one. If a tenant must be evicted they immediately start looking for a new tenant to reduce any gaps between tenants. 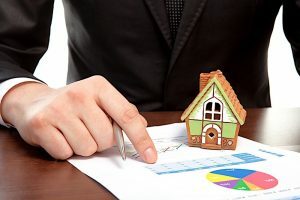 Instead of marketing the property, driving to showings and performing due diligence your property manager handles all that tedious work for you. Rent collection. From the outside rent collection is nothing more than waiting by your mailbox on the first of every month. As simple as the process may seem, rent collection is far from easy. There will be leases when you need to constantly chase rent from a variety of sources. Some tenants will try to pay cash, while others will ask you to download a new money sharing app. If there are multiple tenants this can become a hassle and even a little confusing. Your property manager will do everything they can to make sure you have all your money as close to the first as possible. They will enforce late penalties and even offer an incentive for payment by the first. Instead of chasing the rent every month, all you need to do is open your bank account and it will be there. Peace of mind. As a landlord you are the sole contact for everything with the property. If there is a leaky toilet, you are the one they call. If they are locked out and can’t find their key, you will be contacted. If the rent is late you are the one that must track it down. If there are issues with the property, it is stressful, time consuming and can be a burden. You may not think you will ever have to face these issues, but they are more common than you think. When they do inevitably happen, you will be glad you have a property manager on your side. Simply knowing there is a buffer between you and your tenants can let you sleep better at night. If your property is becoming a burden you need to think about hiring a property manager. The most valuable asset you have is time. If it is not being used properly, nothing else really matters.